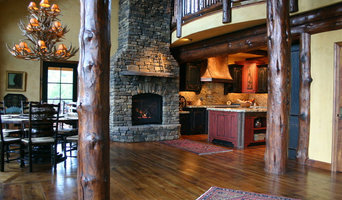 As western Montana's premier hearth specialist, Fireside Stove & Hearth offers hearth product sales and installation. No matter your budget or personal style, rest assured that your project will be given the attention it deserves, from the initial site visit to the final set-up. With more than fifteen years of experience in the hearth industry, we pride ourselves in offering quality products, exceptional service, and know-how, whether your project is a simple stove installation or a custom outdoor fire feature. Your project is always given the highest level of attention, and your satisfaction is our goal. Ironhaus is a metalwork design studio, and manufacturer of specialty products for the home, and hospitality markets. Ironhaus works directly with homeowners, architects, builders, and designers to create custom fireplaces, fireplace doors & screens, mantels & surrounds, as well as lighting, railing, and other handcrafted pieces to complement the design aesthetics, and enrich the living spaces of our customers. Ironhaus sells direct to our customers, and is also supported by a national network of dealers and retailers to provide customers with a variety of shopping experiences. Known for thoughtful design, superior craftsmanship, easy installation and seamless integration, Ironhaus is the choice for discerning homeowners, and professionals in the design and build industry. A full service licensed and bonded fireplace, stove, fire pit, grill and outdoor kitchen and outdoor living contractor serving Western Montana. What should you know about buying a fireplace in Bonner? Since wood smoke contributes to air pollution, many cities have banned the use of wood-burning units. If you’d like to buy a wood burning unit, check the Bonner, MT city policies first. If your home already has a wood-burning unit that you’re concerned about, contact a fireplace manufacturer to replace your wood-burning unit with an environmentally friendly electric or gas alternative. Gas inserts can be efficient heaters and may lower your electric-heat bill. Many adjust to provide high heat on a cold night or a low-burning flame for ambience. Interior fireplaces and mantel designs are as varied as home interiors. 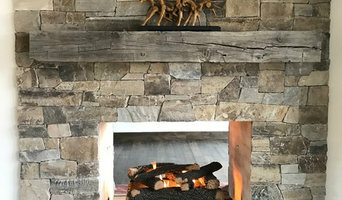 From custom fireplace mantels made to conceal a flat-screen TV to custom hearth designs with elaborate Renaissance-style stone mantels, the latest designs can be found by visiting Bonner, MT fireplace showrooms. Find fireplace manufacturers and showrooms, plus fireplace installation professionals, on Houzz. 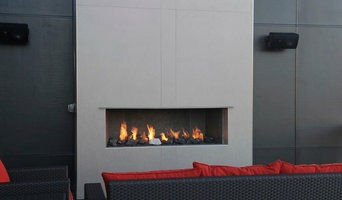 Go to the Professionals section to find Bonner, MT fireplace design and installation experts.